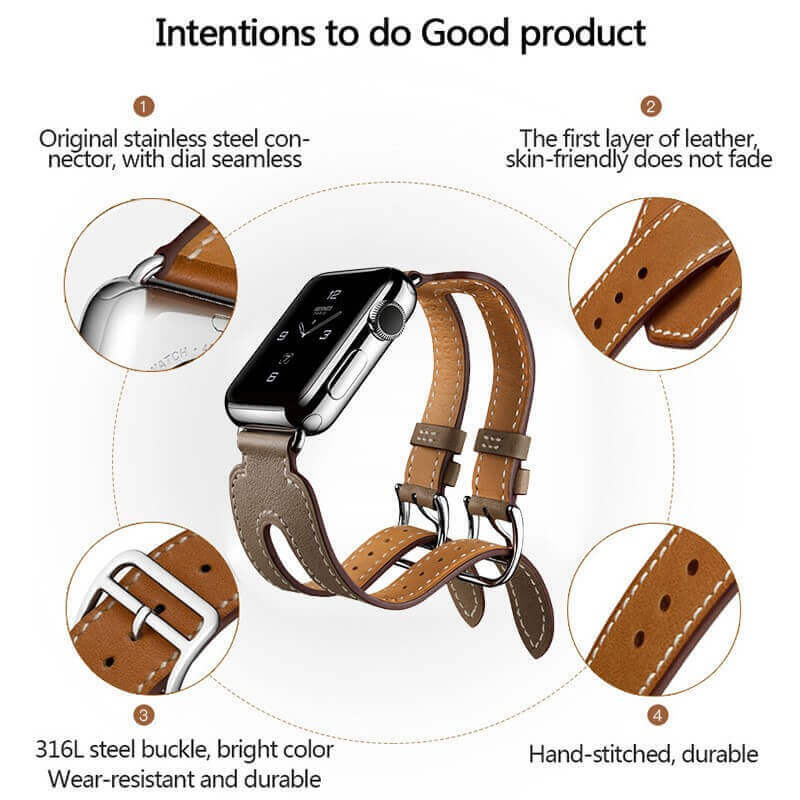 - GENUIEN LEATHER: 100% Genuine Leather, Crafted from genuine cowhide leather, retro appearance personalize your New Apple Watch. 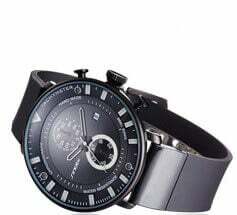 Fits 6.3"-7.9" (160mm-200mm) wrist, it can be men's or women's, comfortable touch feeling on your wrist, simple but attractive, look fantastic and giving a nice professional look on any occasion. 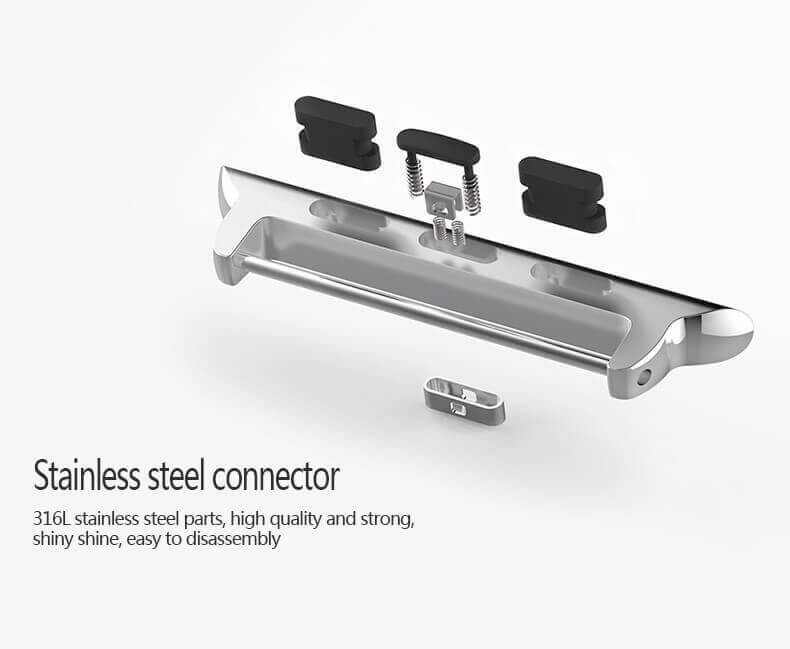 - The adapters at both ends locks into iWatch interface precisely and securely. Easy to install and remove. 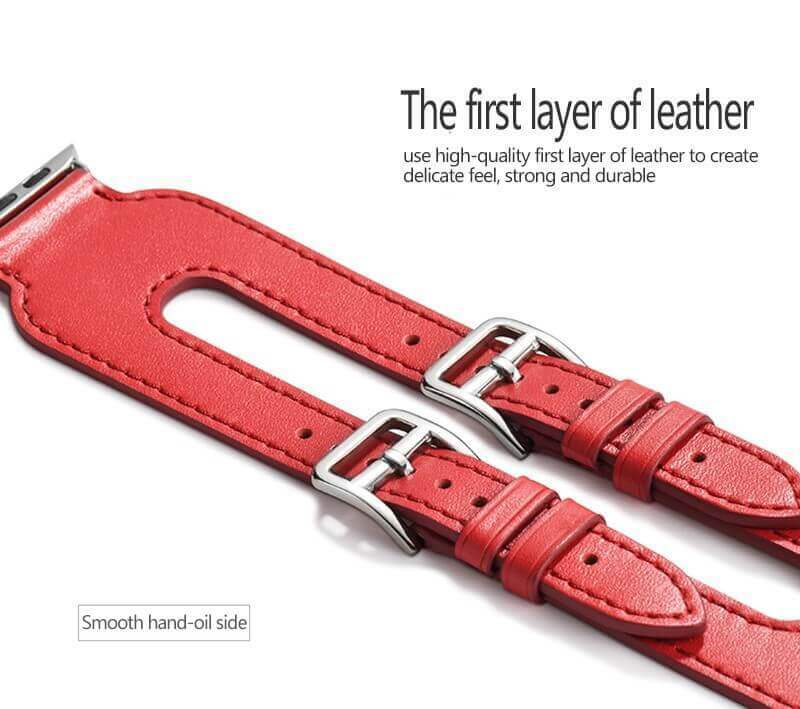 - The apple watch leather band is compatible with all versions Apple Watch, including Series 1, 2, 3, and 4. The 42mm band works with the 44mm Series 4 watch; the 38mm band works with the 40mm Series 4 watch. 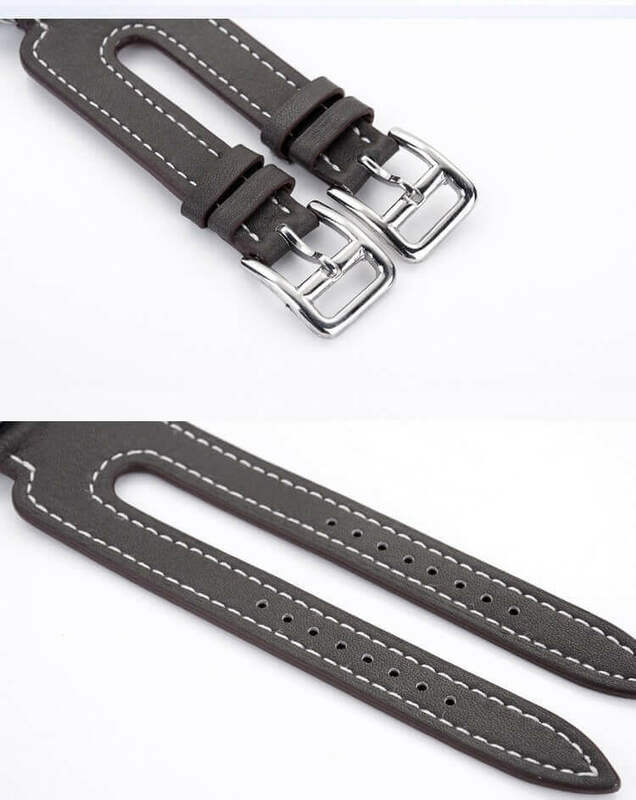 Question:Does the double buckle leather band stay in place until the little buttons on each side of the back of the watch are depressed? Answer: Yes. Just like other bands. Question: Does the leather band work for me, with a 6.3 inch wrist size? Answer:Yes, the 44mm leather band suitable for wrist 5.5"-7.6"(140mm-193mm), and 40mm leather band for wrist 5.4"-7.5"(137mm-190mm). Question: Does it match my gold apple watch 3? Answer:Yes! The color matches exactly.